Virtual Instructors & The Future of Fitness. Should instructors be worried? Increasingly group exercise classes are being run by virtual instructors. There’s varying level of uptake with some operators committing to only using virtual replacements in the off peak periods, whilst others are almost completely replacing their instructor base. Reasoning behind the shift also varies from the honest – ‘it’s more cost effective to run virtual classes’ to the comic ‘Virtual instructors are being introduced to give their hard worked instructors a rest’. Put simply, the implementation of virtual instructors is trend that’s growing with pace across the industry. However it’s widely agreed that the virtual instructor experience is in no way comparable to a great live instructor, so should we be worried? The frank response is yes. 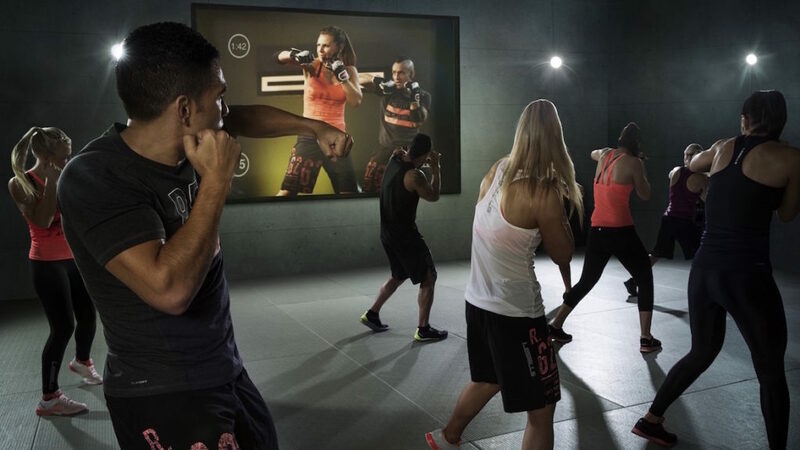 The virtual instructor is not a new concept, they have been present in budget gyms for over 5 years, but now the mainstream chains are increasingly starting to replace instructor led classes with a virtual equivalent. Gyms are already switching out many regular weekly classes and training providers are also starting to sale online copies of their concepts directly to customers and the industry, instead of focusing on training individual instructors. For example one well known training provider, requires instructors to be retrained (and pay) quarterly in their discipline are rapidly selling virtual versions of their classes to operators making thousands of their loyal instructors redundant, and drastically reducing instructor positions nationwide. To install the infrastructure for virtual instructors is expensive, but the returns on money and time for clubs are rapid and substantial. There’s an array of obvious benefits for operators, the virtual instructor is never late, never sick or on holiday, guarantees the same quality of experience in every class, doesn’t need managing, scheduling, training, motivating, promoting, replacing or ultimately paying. In a climate that’s seen reductions in membership fees & increased competition for many operators, virtual instructors are apparently a no brainer. Currently a virtual class struggles to replace a live instructor for the engagement, atmosphere, and personal attention they can give their participants. It’s true that the quality of virtual instructors has improved drastically since their initial introduction and will certainly continue to improve, making the opportunity increasingly appealing for clubs. It’s clear that like it or not, increased virtual instruction is the future for the industry. 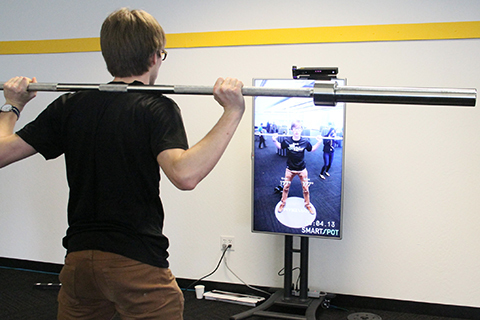 The virtual revolution is not just an issue for fitness instructors, it’s also due to be a problem for operators too. If people can complete a class virtually, why do they need to come to a gym to do it? You could complete your online yoga class, body pump class or functional body weight class anywhere – saving participants huge membership fees and travel time. There are only two obvious exceptions to this rule, that operators must exploit if they want to stay relevant; classes with equipment that’s not realistic at home and a strong community that people want to be part of. The white elephant in the room is the r-word. Retention is still the achilles heel of the fitness industry, it’s not unusual for gyms to turn over all their members in 12 months. Customers are not loyal, they are price sensitive, get bored quickly and treat gyms like any commodity where convenience and price are key considerations because the experience seems uniform everywhere. It’s well known that the key to retention is to build communities. Something that gyms have struggled with for years, something that good group exercise instructors can do. And something that’s currently way out of the league of a virtual instructor. This won’t be the end for fitness professionals, but it’s critical to adapt to the incoming changes that will affect our industry. If you are running group exercise classes where participants simply follow your demonstration, you’re a high risk candidate for virtual replacement. Obviously you could take your own classes online, if you have the digital marketing skills to get yourself out in front of the thousands of others. Alternatively you can become less reliant on running classes in a fitness centre, offering your clients a unique service and personality that could never be achieved online and building that critical community yourself. Or finally you could start running a class format that could never be taken online, either because the equipment isn’t suitable/safe for virtual classes or that the class cannot run without an instructor facilitating it. 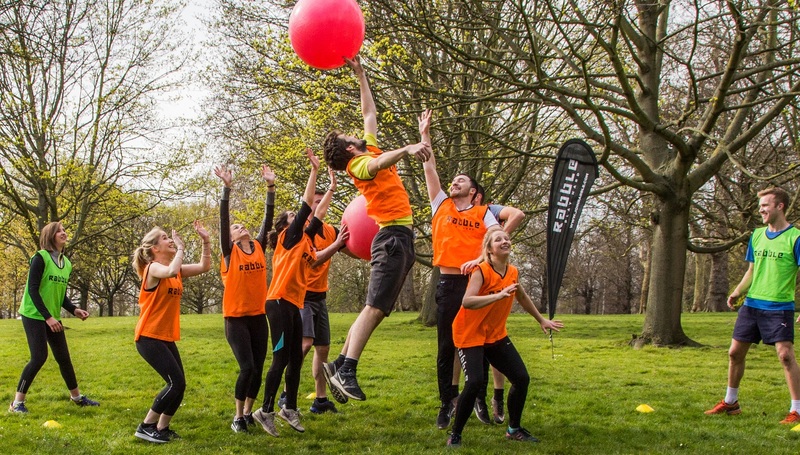 Rabble is an example of a fitness program that cannot be run virtually, because it’s a workout disguised as team games. Rabble instructors have to use their skills to adapt the class for group size, tailoring the games, keeping the score and of course the team must be present together in one place, making it impossible to shift the class and community exclusively online. What’s clear is that available jobs for fitness professionals employed by major gym chains will reduce rapidly over the next few years and simple demonstration style instruction will be replaced by virtual technology & online classes. This will continue to drive trends of low or no pay, reduced hours and lower value attached to instructors. Let’s face it, fitness instructing is changing. To survive, you will need to consider how you stand out, provide excellent and interactive classes going beyond simple demonstration, with a community built around it. In a world where digital is invading every element of our life, face to face interactions will inevitably become far more valuable.